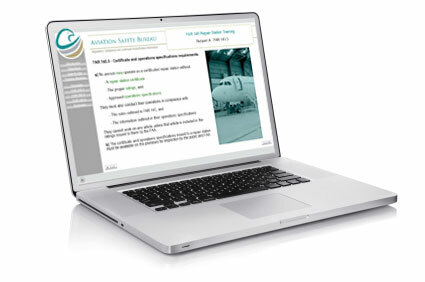 "Save both Time And Money With This FAR 145 Training Course"
With FAR 145 training being mandated for all repair stations and new changes to FAR 145 on the way, having access to an effective training course is essential for FAA-certified repair stations. This training course provides a comprehensive solution to your FAR 145 training needs. Laid out in a simple, easy-to-follow format, this flexible training course can be tailored to the needs of the individual employee by providing training in the sections of the regulation that apply to their specific work activity. "We have initiated rulemaking to update and revise the regulations for repair stations to more fully address the significant changes in the repair station business model. The new proposed rule will address concerns from the 2006 NPRM, as well as other issues related to bringing the repair station regulations up-to-date with industry practice." Our training course is always kept current. When the regulation changes (and there are changes coming) the course will be amended accordingly, and you will have instant access to the revised course. We have prepared a brief demonstration video of the training course which can be downloaded below. Click here to download a brief demonstration video of the training course. 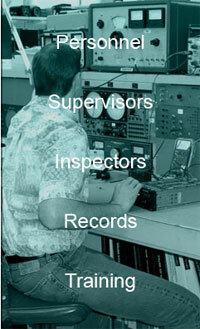 Aviation Safety Bureau has been providing regulatory training products to the aviation industry since 1998. Products created by aviation professionals for aviation professionals. These five modules will ensure that your staff is fully informed and up-to-speed on every aspect of FAR 145. Quizzes are provided for each module and the quiz results can be printed and placed in the employees training file to document the regulatory training given. Comprehensive – the course covers every aspect of FAR 145, ensuring that you meet the initial and recurring regulatory training recommendations outlined in AC 145-10. Flexible – each module can be taken separately or together in sequence, so your staff in different areas of the repair station can focus only on those sections of the regulations that apply to them. Simple Format – the program guides the user through each module in a simple and straightforward format to provide a complete understanding of the sometimes-confusing federal aviation regulations. Adaptable – because it can be used online or installed on individual computers, the course can be used as a stand-alone program for an individual as well as a training tool for group instruction. It is a perfect companion to your other required training. Accessable – being available online means you can now get access to the training course from any location without having to rely on using a CDROM. The course can be integrated into your existing FAA approved training program by program revision, and used for both initial and recurrent training. Sign up for your membership today! Secure credit card payments can be made online through PayPal, after which you’ll have instant access to the most flexible and comprehensive FAR 145 training course available. Yes! I'm ready to join Aviation Safety Bureau members area and begin using the new federal aviation regulation (FAR) Part 145 training course. Discounts on future regulatory training courses. If within 30 days I find that the training course doesn’t save me time and money… or if I don’t find the reference documents or the other free information to be of any value, then I understand I will receive a full refund, No Questions Asked! Our normal price for this annual membership is $599... 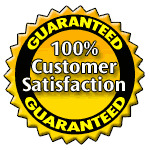 But when you buy now as one of the next 50 subscribers, you get everything for just $348. That's only $29 per month! FAR 145.155(a) "A repair station must ensure persons performing inspections are thoroughly familiar with the applicable regulations"
FAR 145.157(b) "A repair station outside the U.S. must ensure each person authorized to approve an article for return to service is thoroughly familiar with the applicable regulations"
AC 145-10, Para 204(d)(1) "Each repair station’s training program should address indoctrination (initial and recurrent) training for new and existing employees covering the regulations."